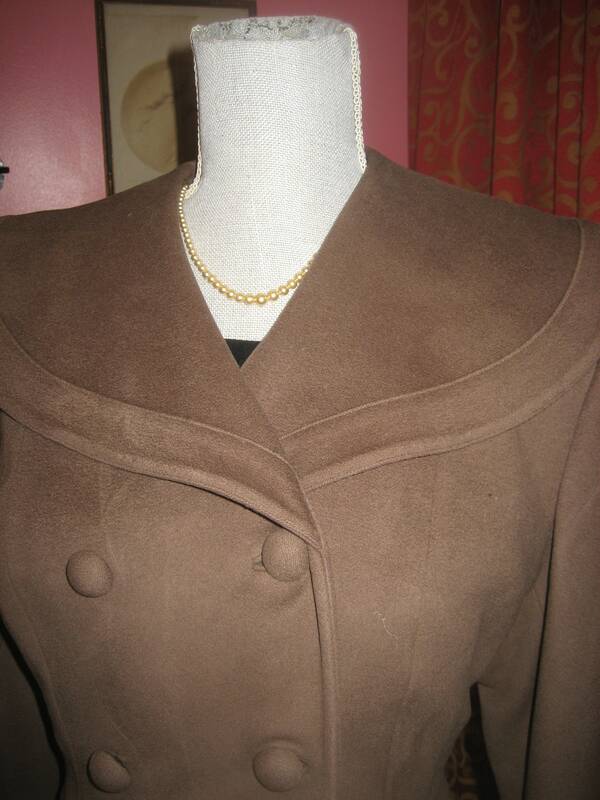 1950's, 38" bust, coca brown wool coat with nipped waist, shoulder pads, and large round Bertha collar. 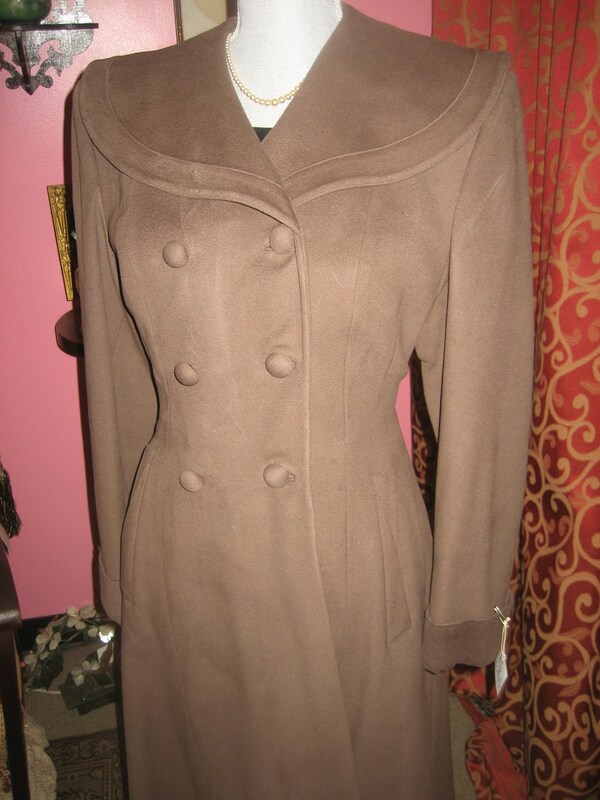 The coat is double breasted, with two rows of brown material buttons (6 of them) fastening the coat in front. Sleeves are straight long and narrow with deep cuffs. 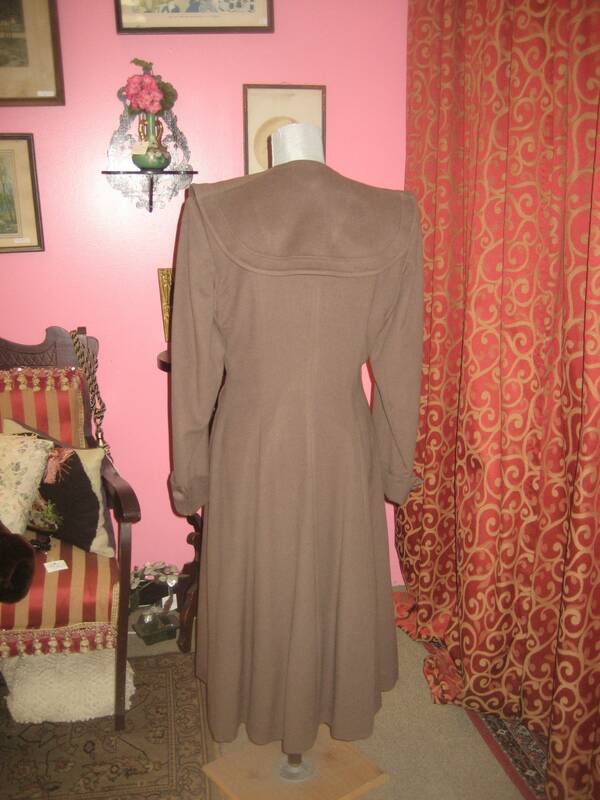 Slit pockets at each hip, with wide skirt at bottom o coat. 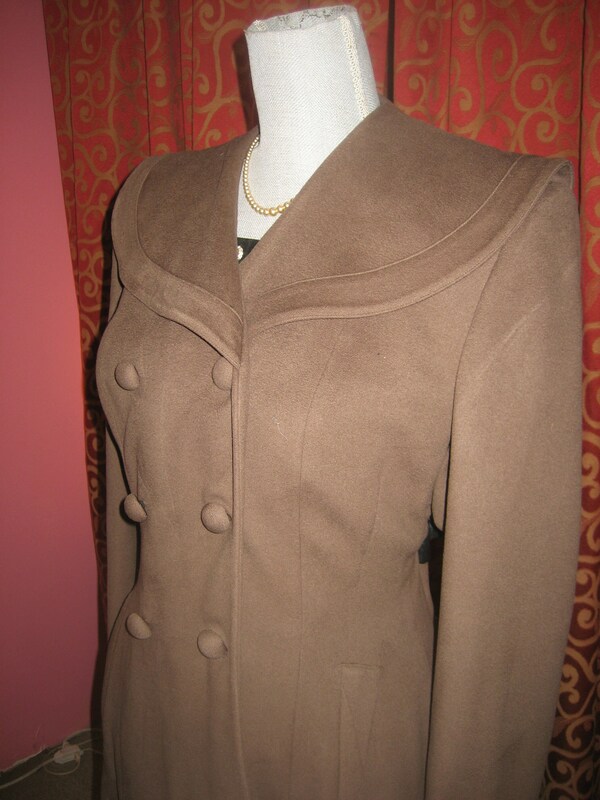 The coat is fully lined in brown rayon satin. Label reads "Fostmann 100% wool"